27825- Oaksway v New Campell, a photo by M R Fletcher on Flickr. We couldnt help but find the contrast of expressions amusing in this great picture from Flickr. 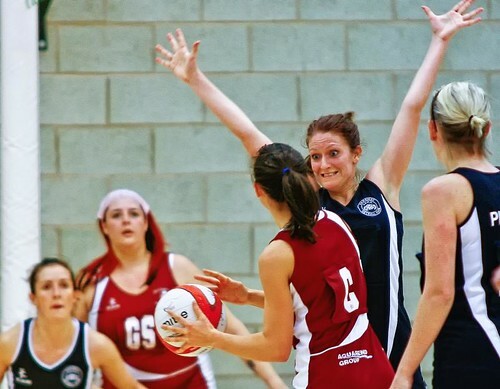 Frozen moments captured from a game, such as these netball players in Hartlepool UK, show some of the many emotions and extremities displayed in intensive sportsplay.